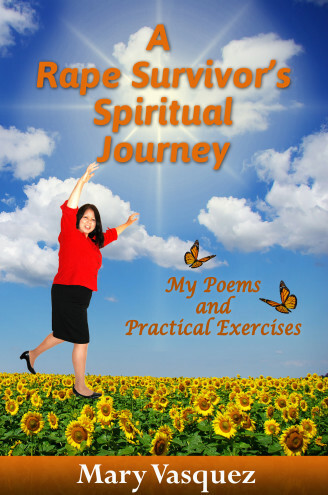 Ignite your spirit with empowering love poems from God. Feel His awe-inspiring, unconditional love for a survivor of childhood sexual violence in her autobiographical poetry book. Nikki Giovanni, world-renowned poet, writer, commentator, activist, educator, and one of Oprah Winfrey's living legends said, "What a story of faith and survival. This book should be in every clinic, every doctor and dentist office, on the pulpit of every minister to help bring those who need it comfort and to remind those who trespass that they should not." Mary said, "My spiritual path has led me through the darkness of pure evil and the blinding brilliance of interior peace. Take a journey back in time with me through the darkness as well as the light and experience the healing power of God's unconditional love." Join Mary on the mountaintops and in the valleys of her spiritual journey and witness God’s infinite passionate and compassionate love that led to her healing from Post-traumatic Stress Disorder (PTSD). If you are not ready to take a journey back in time with Mary through the darkness but long to experience the healing power of God’s unconditional love, read her abridged version of this book LOVE POEMS FROM GOD: MY POEMS AND PRACTICAL EXERCISES. Then join Mary on the mountaintops of her spiritual journey and witness God’s infinite passionate and compassionate love that's sure to spark your spirit. Apprentice Butterflies Publishing, Inc. donates a portion of all sales to nonprofits serving trauma survivors.